The Ladies Ring Shout is a sounding ground and witness space acknowledging the roadblocks and pressures experienced by females of color. Tackling topics such as gender representation, trauma, ways of nurturing, achieving work-life balance and finding contemporary spirituality, the Ladies Ring Shout invites today’s women to shift and heal their own perceptions of personal power through creativity. 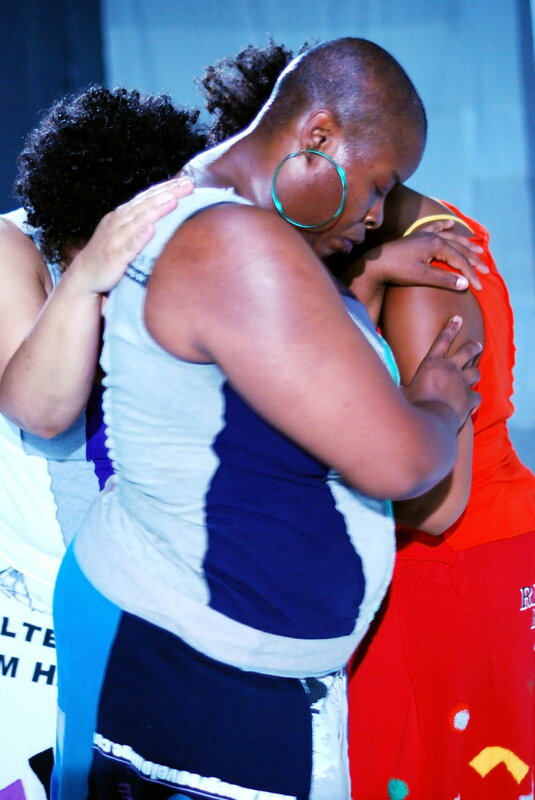 Performance is our therapy, our catharsis and our way to community. Performance is the haven that welcomes us to rediscover our own worth. The Ladies Ring Shout seeks to widen the scope of representational possibilities for women of color. We feel compelled to do it both in the private space of a workshop and the public testimonial space of performance, revitalizing the call to action articulated by our black/women of color feminist foremothers – Audre Lorde, Nikki Giovanni, Barbara Christian, Gloria Anzaldua, Cherrie Moruga, M. Jacqui Alexander, Octavia Butler, Patricia Hill Collins, Ntozake Shange. 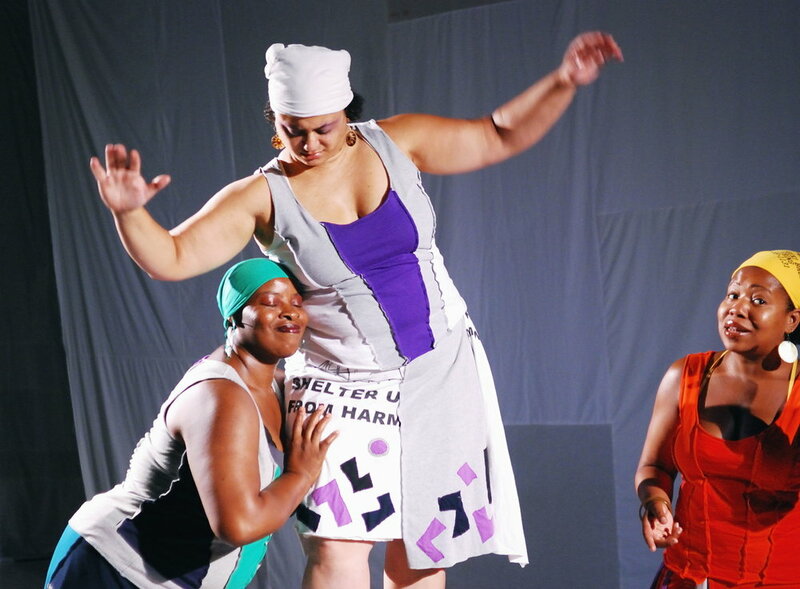 While envisioning our performance work as a measure of feminist-focused social justice, the Ladies Ring Shout also uses performance as a workshop curriculum encouraging women to utilize wellness strategies of deep reflection, play and experimentation. The Ladies Ring Shout uses the tools we use every day in our smaller circles of female support – sharing words and laughter, divulging secrets, engaging images, text, rhythm, movement and other forms of expression – in order to cope, function, heal and thrive.